The WMGPSU06 series of AC/DC wall mount power supplies offers up to 6 watts of output power in a compact package. 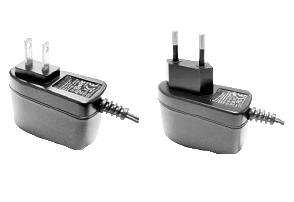 This series consists of single output models with an input range of 100 to 240VAC and either an American plug type or European plug type available. The series is protected against short circuit, over voltage, and over current conditions and 5-48V models are Efficiency Level VI compliant. 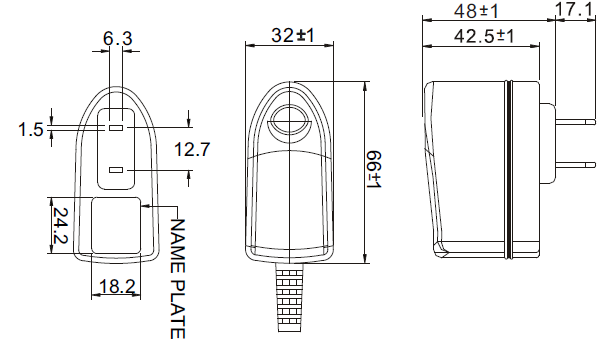 This series offers high efficiency and optional output connectors are available. Please call factory for ordering details. 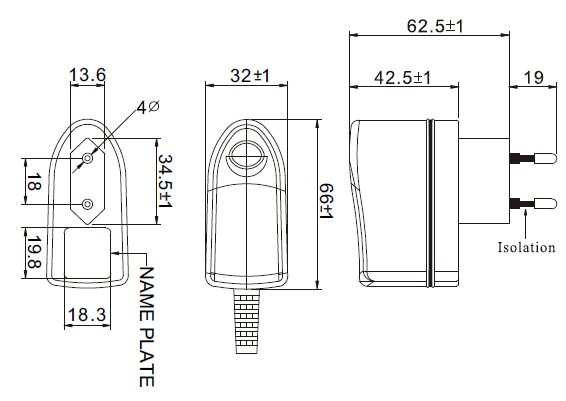 Notes: (1) “x” in model name indicates the plug type. X can either be “U” for American Plug or “E” for European plug. (2) Average Efficiency: averages efficiency at 25, 50, 75, and 100% of max. rated output current.